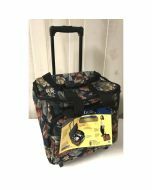 The Rolling Sewing Machine Case is large enough to fit the Duetta 4000D and 45000D and the BabyLock version sewing machine. 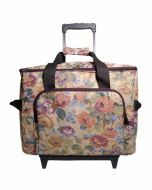 Features of the Rolling Sewing Machine Case are the beautiful floral print (print style varies), sturdy construction throughout, sturdy wheels, and a perfect handle for pulling to classes. 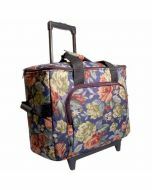 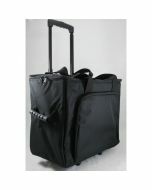 The Rolling Sewing Machine Cases internal measurements are 26" long x 14" wide x 14" high.